I offer a variety of pearl shapes drilled for a chain to pass through. They are available in a variety of chain styles and lengths. 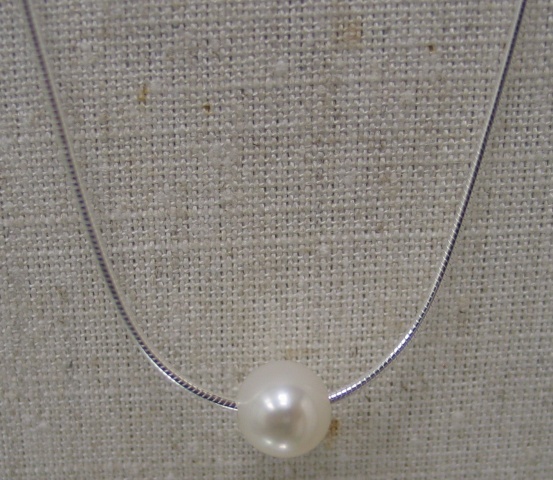 Shown here is a single roundish white freshwater pearl on a sterling snake chain.